Where do I use my ALA Insurance voucher code? Established in 1990 ALA provides quality financial products in the motor industry for both personal and corporate customers. It is an FCA authorised company, which offers specialist insurance policies that have been developed with their expert knowledge of the vehicle insurance market. 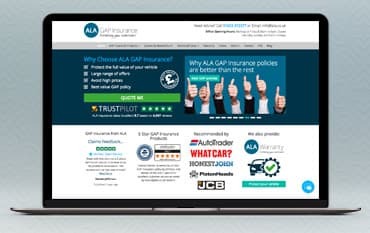 On the ALA website, you can purchase insurance online with the assurance that you are dealing with one of longest established and well respected GAP Insurance Brokers in the UK. As well as GAP insurance they also offer additional cover for things like alloy wheels, tyres, scratches and dents, keys, tools in transit and helmets and leathers. On occasion, ALA Insurance offers a promotional code that will save you money when purchasing GAP insurance. The codes offer discounts on selected products such as "20% Discount on ALA Warranty" or "10% Discount on all Vehicle Replacement Insurance" or sometimes there will be a generic code e.g. "5% Discount Code to use across the ALA website". All designed to give you great savings. Here at Netvouchercodes. we aim to keep you informed of all the latest promotional codes that are on offer fro ALA Insurance. If your vehicle is involved in an accident and it's declared a total loss by your motor insurance provider, they will only settle at the vehicle's current market value, even if you have bought fully comprehensive insurance. So you are left with an amount that is much less than the amount that you originally paid for your vehicle. Even more importantly, it's possible that your insurance settlement will not be enough to cover any outstanding finance you may have. So not only will you have no vehicle but you will still be paying finance on a vehicle that you don't have anymore. You can avoid this financial shortfall by purchasing a GAP Insurance policy from ALA and thereby protecting your investment. ALA is probably the best value GAP Insurance to be found online in the UK and can be up to 75% cheaper than any quotation that you might get from a dealer. How do I make a Claim on my GAP Insurance? How to make your specific claim is dependent o when you took out your GAP policy. For policies on Contract Hire Vehicles + GAP or Vehicle Replacements + GAP on or after the 1st June 2018, you will need to contact MB & G Insurance Services Limited on 0191 25 88 141. For purchases on an agreed value GAP or Back to Invoice + GAP policy, you will need to contact AMS Insurance Ltd on 01869 232563. What information do I need to make a GAP Claim? when you contact the ALA claims administrators, you will be asked to complete a claims form. You will need to provide your sales invoice, your GAP insurance policy schedule and your motor insurance certificate and policy wording. If applicable, you will also need to provide your finance agreement, early settlement figure, third party details and police correspondence. For more FAQ's, click here. ALA.co.uk values your every investment and encourages their customers to protect these assets with the help of their insurance services. Through their help, you can get great insurance coverage to protect your personal and commercial transport vehicles. ALA Insurance brings you affordable, easy-to-understand GAP insurance for your vehicle, whether it's a car, a van, a motorcycle, a truck, a tractor or plant machinery. This helps cover you against car crime and brings you low-cost peace of mind.